Engraftment in stem cell transplantation is when your body accepts the transplanted bone marrow or stem cells, and they begin to produce new blood cells and immune system cells. It is a step in a successful stem cell transplant. What Happens During Stem Cell or Bone Marrow Transplant? Blood cancers may be treated by killing your bone marrow and stem cells with radiation or chemotherapy to destroy the cancerous cells. People with other types of cancer may also need a stem cell transplant because of the effects of radiation or chemotherapy. These treatments can have the side effect of damaging their bone marrow and stem cells, and if the damage is too extensive, a transplant is needed to restore the function of their bone marrow. Other people may need a marrow transplant due to accidental exposure to radiation or chemicals or other conditions that damage their bone marrow. During stem cell transplantation, the bone marrow of the recipient is damaged by chemotherapy with or without radiation therapy to the point where it can no longer function. It is rendered unable to produce healthy red blood cells, platelets or white blood cells. In fact, the damage is so severe that the patient will die unless their marrow function is restored by an infusion of stem cells, either from a donor, or the patient's own cells that were previously collected and stored. Once the donated stem cells are infused into the recipient, they find their way into the marrow space in the bones. When they are in place and begin to reproduce, engraftment occurs. The stem cells will create a new hematopoietic and immune system for the recipient. What Is Happening During Engraftment? The stem cells or marrow is given as an intravenous transfusion. Within the first few days after transplantation, the reinfused stem cells migrate to the bone marrow and begin the process of manufacturing replacement blood cells. It takes about 12 to 15 days following infusion for stem cells to begin to produce new blood cells. Medications called colony-stimulating factors may be given during this time to boost the process of blood cell production. New cells include red blood cells, white blood cells, and platelets. Once production begins, engraftment is said to have occurred. Your complete blood count will be checked frequently to monitor whether engraftment is happening. A slow and steady increase in blood cell counts indicates that engraftment is occurring. Early on in the process, the complete blood cell count will show a rise in white blood cells and a shift from predominantly lymphocytes to neutrophils. An absolute neutrophil count (ANC) of 500 or more for 3 days in a row is a sign of engraftment. For marrow or peripheral blood stem cells (PBSC) recipients, neutrophil engraftment can occur as early as 10 days after transplant but is more common around 14-20 days. A platelet count of 20,000 to 50,000 is a sign of platelet engraftment. For marrow or PBSC recipients, platelet engraftment often occurs shortly after neutrophil engraftment. Until engraftment is complete, there is a higher risk of infection, anemia, and bleeding caused – all of which are caused by low blood cell counts. To help offset this risk, transplant recipients may be given red blood cell and platelet transfusions during the recovery period. Effects of high-dose chemotherapy and the loss of blood cells weaken the body’s immune system, so for the first 2-4 weeks after the transplant, patients are very susceptible to developing infections. Therefore, antibiotics are often prescribed to help prevent infection. It can take months to as much as one to two years for a complete recovery of immune function after engraftment. It usually occurs faster for autologous transplants than for donor transplants. You will have blood tests to ensure the cells being produced are new cells rather than the cancer cells returning. You may also have a bone marrow aspiration to check on how the new marrow is working. 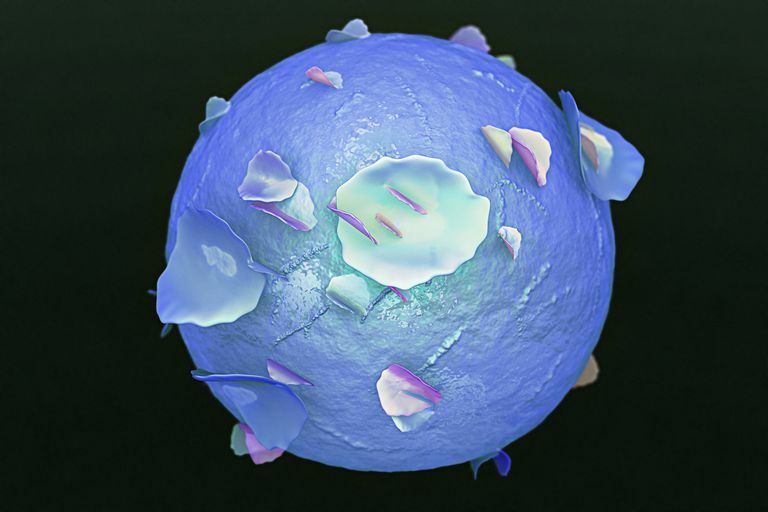 The final endpoint is a fully functioning bone marrow producing normal cell lines for red blood cells, white blood cells, and platelets, including all of the different types of white cells - lymphocytes, granulocytes, and monocytes. Recovery times vary from person to person. Before stem cell transplant recipients can leave the hospital, they must be able to eat and drink fluids sufficiently, not have a fever, have no vomiting or diarrhea, and have safe levels of all blood cell counts. Transplant recipients may still tire easily and feel weak for months, however, in part because it takes time for the immune system to recover. Some people may need to stay in the hospital longer if problems develop. Graft failure is a rare but serious complication of bone marrow transplants, and it may develop when new stem cells don't grow or the recipient’s immune system rejects the cells. In these rare cases, your medical team will talk to you about your options. Kekre N, Antin JH. Hematopoietic stem cell transplantation donor sources in the 21st century: choosing the ideal donor when a perfect match does not exist. Blood. 2014;124(3):334-43.
outcomes. Biol Blood Marrow Transplant. 2014;20(9):1407-1417. National Cancer Institute. Blood-forming stem cell transplants. Accessed August 2017.